As it was a very cold evening, my daughter and I decided on lasagna for dinner. Instead of the spinach I used swiss chard and was very impressed with the outcome. I loved the flavor and taste of this lasagna. It received a big thumbs up from our in house food critic, my daughter. She wanted me to post it today in my blog. This lasagna happens to be very light and less cheesy. Maybe that is why we all went for seconds. We had it for lunch and I felt that it tasted delicious. 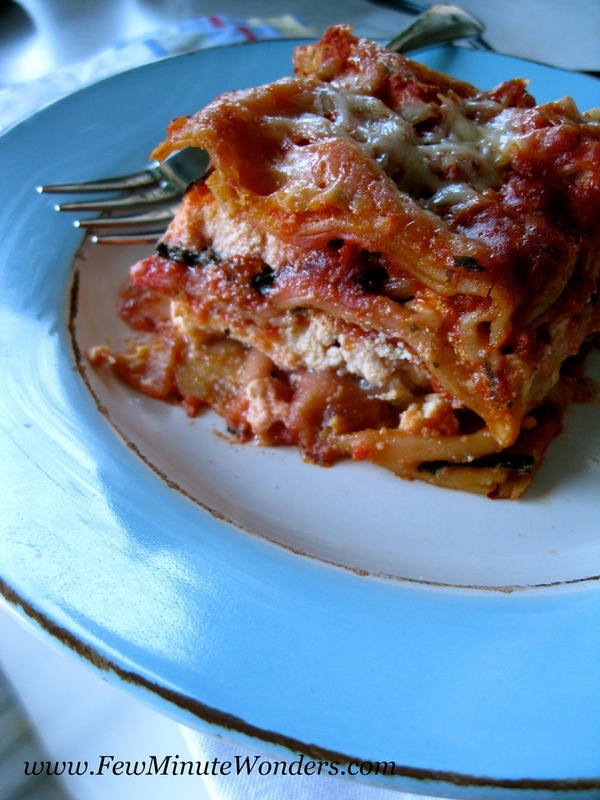 If you would like your kids to have swiss chard, maybe lasagna is the way. 1. Slice onions and finely shred the swiss chard. Heat olive oil in the pan. Add onions allow the onions to get cooked. Add salt and swiss chard. Cook until the swiss chard gets tender. Add minced garlic and pepper and cook for 3 minutes. Allow to cool. 2. Set the oven to 375 degrees F.
3. Pour some marinara sauce in the lasagna pan, just enough to roughly cover the bottom ( 1/2 cup or so). Layer the no boil lasagna sheets. Add the swiss chard mix evenly on top. Spoon in 12 tbsp of ricotta evenly so that each portion gets a tbsp. Lightly flatten the ricotta. Pour some marinara sauce and sprinkle some cheese. 5. Cover with the aluminum foil and place in the over for 35 minutes. At the end of the 35 minutes, remove the foil and allow for the lasagna to bake for 10 minutes, until all the cheese has melted. 6. Remove from oven and allow to rest for 10 minutes before slicing and serving. 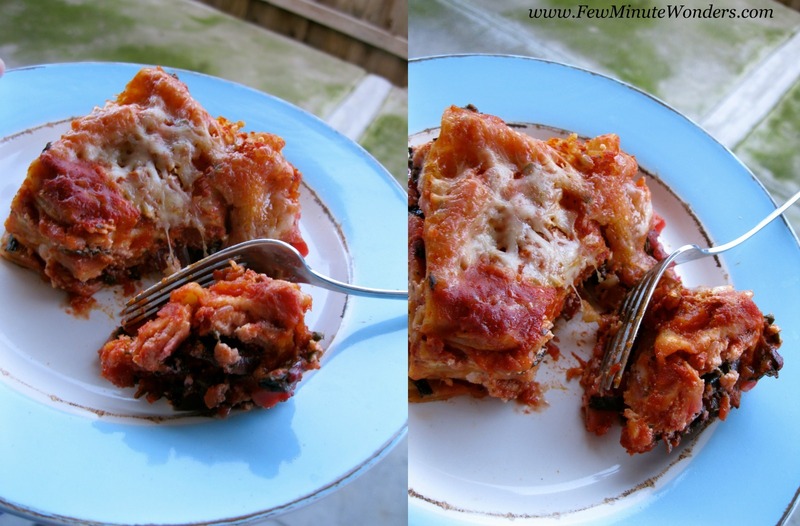 Never tried lasagna with swiss chard, wonderful to sneak swiss chard this way. delicious one.. never tried it before..